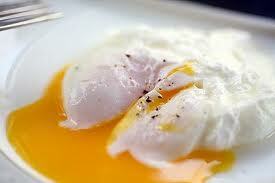 Are Whole Eggs, or just the Egg Whites, Better for You ? Well, to my shock and horror, I noticed that he was cracking the eggs open and screening the egg whites into a bowl and throwing out the egg yolks. I asked him why the heck he was throwing out the egg yolks, and he replied something like this ... "because I thought the egg yolks were terrible for you...that's where all the nasty fat and cholesterol is". And I replied, "you mean that's where all the nutrition is !" Even the protein in egg whites isn't as powerful without the yolks to balance out the amino acid profile and make the protein more bio-available. 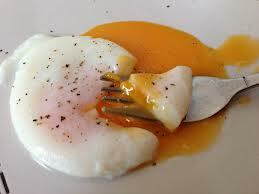 Not to even mention that the egg yolks from free range chickens are loaded with omega-3 fatty acids. Yolks contain more than 90% of the calcium, iron, phosphorus, zinc, thiamin, B6, folate, and B12, and panthothenic acid of the egg. In addition, the yolks contain ALL of the fat soluble vitamins A, D, E, and K in the egg, as well as ALL of the essential fatty acids. And now the common objection I get all the time when I say that the yolks are the most nutritious part of the egg ... "But I heard that whole eggs will skyrocket my cholesterol through the roof"
No, this is FALSE ! First of all, when you eat a food that contains a high amount of dietary cholesterol such as eggs, your body down-regulates it's internal production of cholesterol to balance things out. On the other hand, if you don't eat enough cholesterol, your body simply produces more since cholesterol has tons of important functions in the body. There are indications that eating whole eggs actually raises your good HDL cholesterol to a higher degree than LDL cholesterol, thereby improving your overall cholesterol ratio and blood chemistry. And 3rd... high cholesterol is NOT a disease ! Heart disease is a disease...but high cholesterol is NOT. Cholesterol is actually a VERY important substance in your body and has vitally important functions... it is DEAD WRONG to try to "lower your cholesterol" just because of pharmaceutical companies propaganda that everyone on the planet should be on statin drugs. In addition, the yolks contain the antioxidant lutein as well as other antioxidants which can help protect you from inflammation within your body (the REAL culprit in heart disease, not dietary cholesterol ! 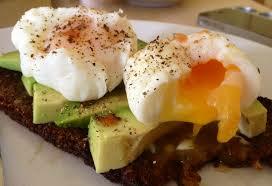 ), giving yet another reason why the yolks are actually GOOD for you, and not detrimental. To help bring even more proof that whole eggs are better for you than egg whites, I recently read a University of Connecticut study that showed that a group of men in the study that ate 3 eggs per day for 12 weeks while on a reduced carb, higher fat diet increased their HDL good cholesterol by 20%, while their LDL bad cholesterol stayed the same during the study. However, the group that ate egg substitutes (egg whites) saw no change in either and did not see the improvement in good cholesterol (remember that higher HDL levels are associated with lower risk of heart disease) that the whole egg eaters did. So I hope we've established that whole eggs are not some evil food that will wreck your body ... instead whole eggs are FAR superior to egg whites. So next time a health, or fitness professional tells you that egg whites are superior, you can quietly ignore their advice knowing that you understand the REAL deal about egg yolks. 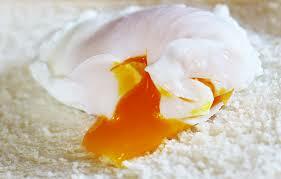 And can we all please STOP with this silliness about eating an omelete with 4-5 egg whites and only 1 egg yolk... If you want real taste and real health benefits, we'd all be better off eating ALL of our eggs with the yolks. I read a study recently that compared groups of people that ate egg breakfasts vs groups of people that ate cereal or bagel based breakfasts. The results of the study showed that the egg eaters lost or maintained a healthier body weight, while the cereal/bagel eaters gained weight. 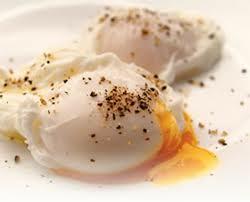 Enjoy your eggs and get a leaner body ! Triglycerides are actually, fat in the blood and are used to provide energy to the body. If you have extra triglycerides, they are stored in different places in case they are needed later. High triglyceride levels have been linked to a greater chance for heart disease. 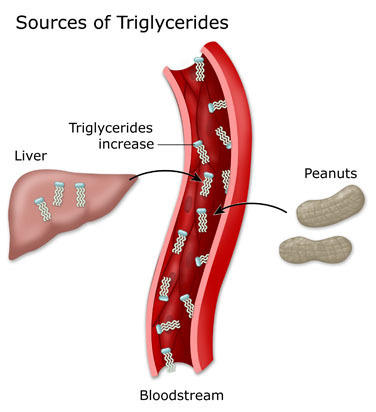 Triglycerides are important to human life & are the main form of fat in the body. When you think of fat developing & being stored in your hips, or belly, you're thinking of triglycerides. 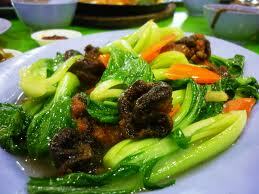 They are the end product of digesting and breaking down fats in meals. Some triglycerides are made in the body from other energy sources such as carbohydrates. They are measured using a common test called a lipid panel. It's the same blood test that checks "good" and "bad" cholesterol levels. The American Heart Association recommends that everyone over the age of 20 should get a lipid panel to measure cholesterol and triglycerides at least every five years. Triglyceride levels are checked after an overnight fast. 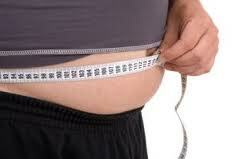 Fat from a meal can artificially raise the triglyceride levels on the test. Normal triglycerides means there are less than 150 milligrams per deciliter (mg/dL). Borderline high triglycerides = 150 to 199 mg/dL. High triglycerides = 200 to 499 mg/dL. Very high triglycerides = 500 mg/dL or higher. High triglyceride levels may lead to heart disease, especially in people with low levels of "good" cholesterol and high levels of "bad" cholesterol, and in people with type 2 diabetes. Experts disagree, though, on just how bad of an effect high triglyceride levels by themselves have on the heart. Some of the confusion stems from the fact that high triglycerides have a tendency to appear with other risk factors. 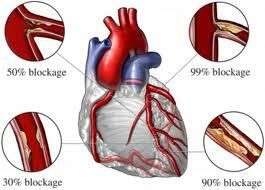 We do know that a low level of good cholesterol is a risk factor for heart disease. We also know that blood tests for triglycerides can show some variability. Many experts believe that high triglycerides may be a sign of other heart disease risk factors. That is, high triglyceride levels could multiply the bad effects of high cholesterol, high blood pressure, and diabetes. Some research also suggests that high triglycerides are a more important risk factor for women than for men, although this is also disputed. A healthy diet and exercise plan can lower triglyceride levels, improve cholesterol, and lower the risk of heart disease. 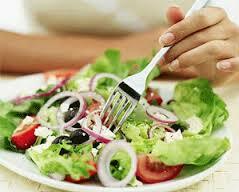 The main way to deal with high triglyceride levels is by eating a healthier diet and getting more exercise. 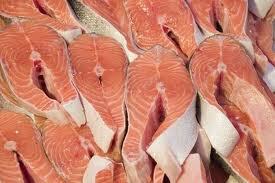 Eating more fish high in Omega-3, can lower triglyceride levels. 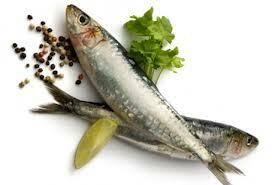 Fish like mackerel, lake trout, herring, sardines, albacore tuna, and salmon are high in Omega-3. It may be hard to get enough Omega-3 from food to help lower your triglycerides. Your doctor may recommend a supplement, or prescription Omega-3. By taking steps to improve your triglyceride levels, you'll likely improve your overall health, fitness, cholesterol levels & risk for heart disease. Vegetarians are people who don’t eat meat, or seafood ... as well as eggs, or dairy foods. Vegans follow a form of vegetarianism, but consume only plant foods. Well-planned vegetarian diets have many health benefits and can provide all the essential vitamins and minerals necessary for a long and healthy life. Vegans –> those who consume only plant foods. 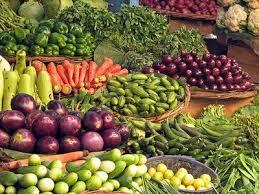 Vegetarians and vegans also have lower rates of illness and death from a number of degenerative diseases. Protein is essential for many bodily processes, including tissue building and repair. It is made up of smaller components called amino acids. 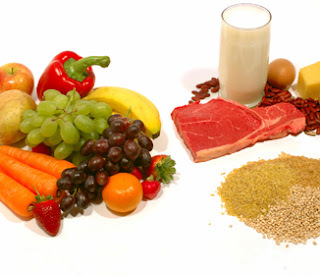 A complete protein has all the amino acids necessary to make up protein. Most individual plant foods are not complete proteins –> they only have some of the amino acids. Soy is one of the only complete vegetable proteins. It was once thought that vegetarians and vegans needed to combine plant foods at each meal to ensure they consumed complete proteins. Consuming various sources of amino acids throughout the day should provide the complete complement of protein. Generally, lacto-ovo vegetarians and lacto-vegetarian diets meet, or exceed their protein requirements, but some vegan diets may be low in protein. It is recommended that vegetarians & vegans eat legumes & nuts daily, along with wholegrain cereals, to ensure adequate nutrient intakes. Iodine –> our bodies need iodine for the thyroid gland & other associated hormones to function normally. Iodised salt is the most common source of iodine in the Western diet. Iodine is found in seafood, which is a rich source of this element. Sea vegetables (seaweed) also contain iodine, but are also high in salt. Vitamin B12 is important for the production of red blood cells –> it helps to maintain healthy nerves & a healthy brain. Vegans are at risk of developing vitamin B12 deficiency because it is not found in plant products. Anaemia is a common result of B12 deficiency. If a breastfeeding mother is following a vegan diet, the lack of vitamin B12 in her milk can interfere with normal brain development of her baby. 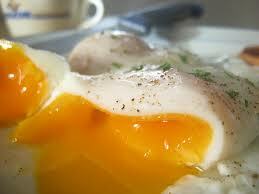 Vitamin B12 can be found in dairy products & eggs. 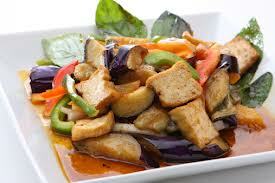 There are fortified vegan foods such as some soy beverages, & some vegetarian sausages & burgers. If vegans don’t get their B12 requirement from these foods, they are advised to take B12 supplements. Vitamin B12 absorption becomes less efficient as we age, so supplements may also be needed by older vegetarians. 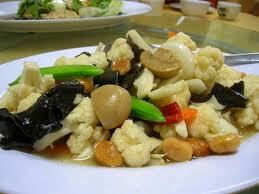 Mushrooms, tempeh, miso and sea vegetables are often claimed to be a source of B12. However, this is not accurate. They contain a compound with a similar structure to B12, but it doesn’t work like B12 in the body. They may contain some B12 on their surface, from soil (bacteria) or fertiliser contamination. The main source of vitamin D for most Australians is sunlight. There are few foods that contain significant amounts of vitamin D. There is very little vitamin D in most people’s diets unless they eat fatty fish, eggs, liver, or foods fortified with vitamin D (such as margarine). Fortified low-fat & skim milk is another source of vitamin D, but the levels are low. Vegans can increase their chances of avoiding vitamin D deficiency by consuming fortified soy milk and cereals. As the sun is also a major source of vitamin D, dietary intake is only important when exposure to UV light from the sun is inadequate –> for e.g, in people who are housebound, or whose clothing covers almost all of their skin. 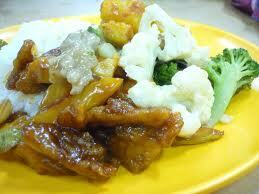 Well-planned vegan & vegetarian diets are appropriate for all stages of a person’s life. However, special care needs to be taken with young children. Infants consuming breastmilk, or infant formula usually have their nutritional needs met. On weaning, it is important to include protein & energy-rich foods for growth, such as mashed tofu, or cottage cheese. Later, add cheese, cow’s milk, full-fat soy milk & legumes. One way to ensure that vegetarian children meet their energy needs is to give them frequent meals & snacks. It is particularly important that vegan children have energy & nutrient-dense foods regularly (such as full-fat soy drink, tofu, mashed avocado, tahini spread & vegetables cooked with oil). Some people choose to become vegetarian, or vegan as a healthy lifestyle choice, or for ethical reasons. There are also sound social reasons to be a vegetarian. Livestock production accounts for nearly 80 % of greenhouse gas emissions from agriculture worldwide. It also places a much heavier burden on water, land & fossil fuel resources than grains & other crops. 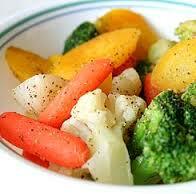 A well-planned vegetarian diet can meet nutritional needs during all stages of life.